When it comes to blush, The Balm has my perfect summer shade. A bit of coral & a bit of pink this shade is juuuuust right. I purchased this of Hautelook after mooning over it for a very long time. Currently, I’m kicking myself for waiting so long! 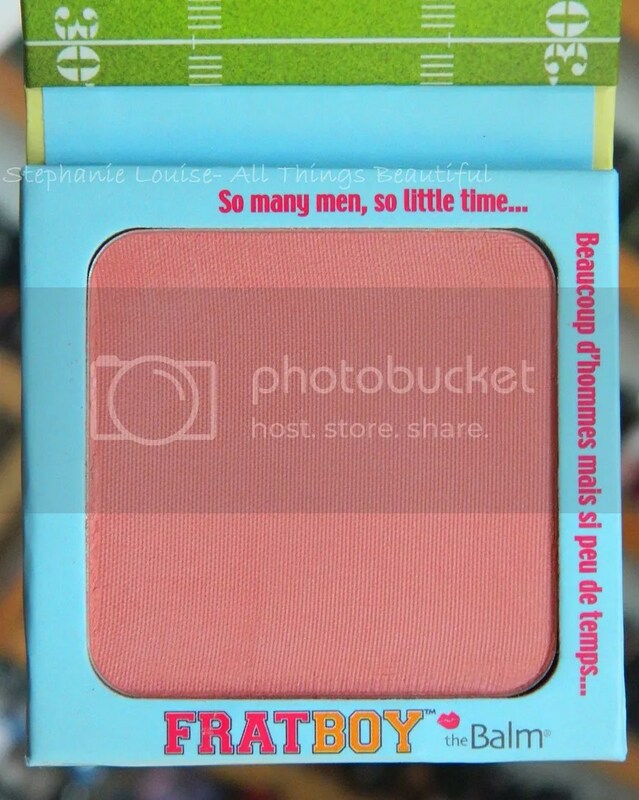 Keep reading to see my thoughts, swatches, & why you probably need The Balm Frat Boy blush in your life too. The packaging on this shade is just what I like. This is a sturdy cardboard with a magnetic closure. 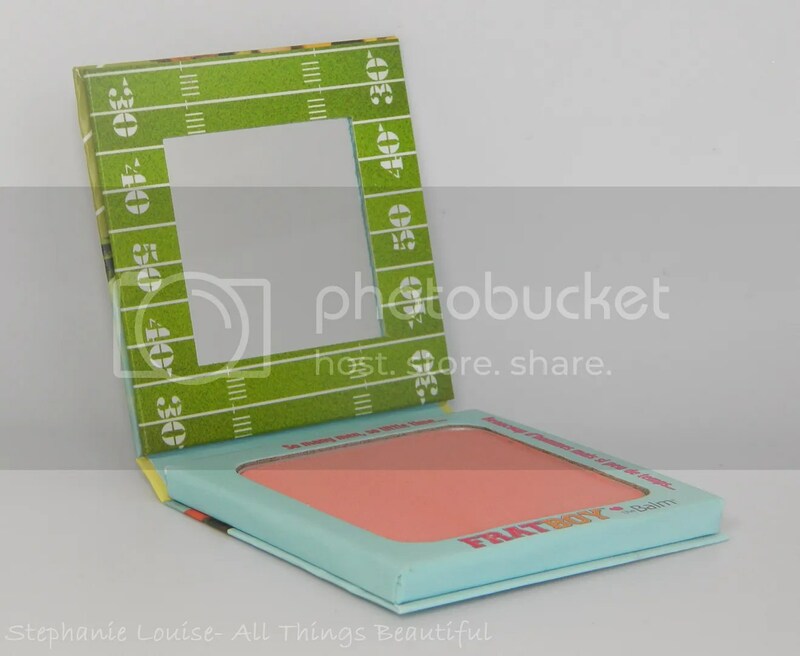 Easy to use, a nice wide pan for a big brush, & it is just too cute. Cardboard packaging definitely helps to prevent breakage & even cracking because it absorbs breakage better than plastic. The cute football/cheerleader them is perfection & just feels so right for this color that has a pop of pep. The Balm Frat Boy is a medium coral pink with a gold satin sheen. 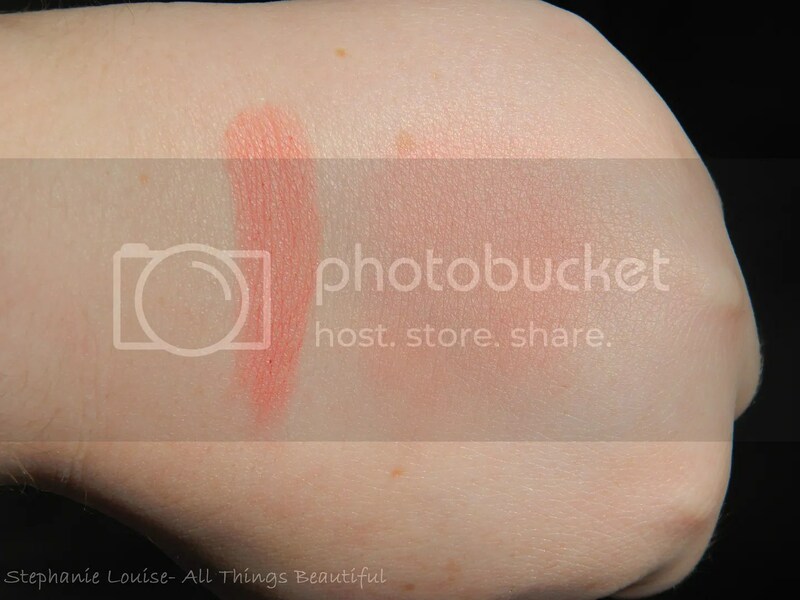 Pigmentation is smooth & even making this a beautiful blush. This shade can also be used as an eyeshadow. This pigmentation isn’t so crazy that you have to barely touch it for color so I feel like you get a more even application. Pigmented but you can layer & blend without too much effort. Like I said, I purchased this shade off Hautelook with a discount. The Balm pops up for wicked prices that I take advantage off here & there. You can join Hautelook using my referral code here! You can also purchase this blush from Nordstrom & wherever The Balm products are sold. What do you thick of this shade? What is your favorite The Balm product?